Freestanding copper bathtubs are becoming one of the most sought after bathroom trends of 2015. Homeowners are starting to remove their built-in bathtubs and replace them with the more elegant style of freestanding tubs and walk-in shower. With copper bathtubs, there is more than meets the eye when picking out the right one. Not all copper bathtubs are created the same so knowing what to look for when purchasing a copper tub will help you avoid the disappointment of choosing one that ages poorly or turns rusty. First, let’s get rid of a myth about copper. Most of us remember when shiny copper bottomed pots and pans had to be scrubbed and polished constantly. Because of this, we believe that a copper bathtub will be high maintenance and require a lot of care. Quite the opposite is true of copper. You will be delighted to know that pure copper tubs require no maintenance! Pure copper virtually takes care of itself. To help maintain your copper tub, simply rinse with water and dry completely after each use to prevent spotting. You can occasionally use a very mild, lemon-free soap with a soft, nonabrasive cloth to further clean your tub. It has been found that copper surfaces eliminate more than 99% of bacteria known to be human pathogens within just two hours. This means that bacteria literally cannot live on the surface of your copper bathtub. Other materials can harbor bacteria up to a month it not properly cleaned and cared for. You can toss out those disinfectants and antibacterial products you have stashed under your sink because copper is a natural fight for bacteria! Your copper bathtub will not scratch any more or any less than any other material but unlike other materials, copper actually heals itself. If you happen to scratch the surface, no need to panic! Because of copper’s living finish, this bathtub will heal itself. If you simply go about your normal routine, within a short period of time you will start to notice that the scratch will begin to darken and blend back into the original patina of the tub. High-quality copper has a unique characteristic known as a living finish. This sets copper apart from other materials and metals. When left untreated, copper interacts with the environment will start to deepen in color and tone over time. When copper begins, it is a pinkish hue that will gradually darken the color as it passes through tan and coffee browns until it finally stops at a deep, rich tone. The rate that the copper will darken and change is influenced by the amount and type of use that it endures. Copper ages gracefully and become even more beautiful every day! Not all copper bathtubs are created equal – there are different components that go into producing any copper product. These components are critical to its quality, appearance, and longevity of your tub. Some basic elements to look for when choosing the perfect copper bathtub are pure copper vs. recycled copper and the weight and gauge. Recycled copper is the combination of melted down discards of a copper item and other alloys. The majority of copper on the market is no longer pure copper. Whitehaus Collection’s Bathhaus Freestanding Copper Bathtubs are 97% pure copper. This helps prevent any rusting, compromise of the natural beauty, unpleasant aging and extra care in our freestanding copper tubs that would happen if we used recycled copper. Even though copper is highly durable, it is still very soft and supple. Because of this, it is crucial that your copper tub is constructed of the proper weight/gauge. Whitehaus Collection’s Bathhaus Freestanding Copper Bathtubs are 48 ounces (equivalent of 16 gauge) which is the minimum weight that copper tubs should be made of to ensure their quality. Tubs that are not 16 gauge, will not be strong enough to meet the demands of everyday use. Whitehaus Collection has created a distinctive collection of fine handcrafted freestanding copper bathtubs. The bathtubs are beautiful pieces to help create an inviting, warm feeling to your bathroom. These finely crafted tubs are both delicate in beauty and solid in strength. You will fall in love with your high quality freestanding copper bathtub from Whitehaus Collection. It will fill your bathroom with a warm and inviting feeling while giving you a luxurious and elegant look. If you follow the points above, your copper tub will be beautiful, durable, hygienic, resistant, strong and easy to care for! 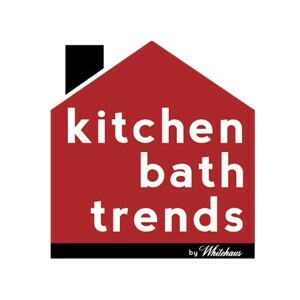 Check out Whitehaus’ collection of Bathhaus Freestanding Copper Bathtubs here!